Enter your desired Menu Name as shown in the example below and click on Save Menu. 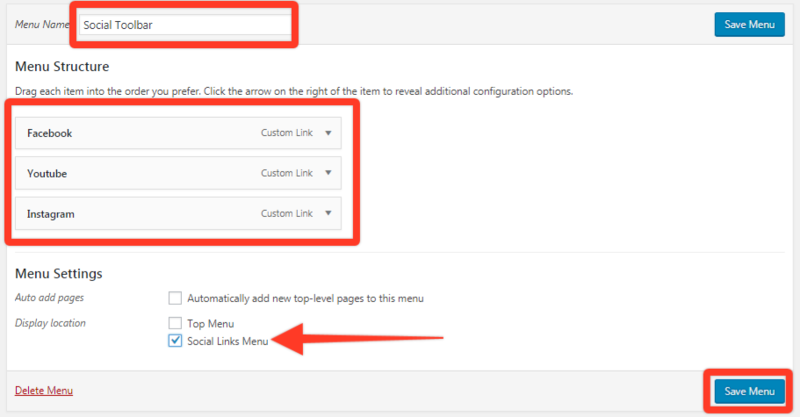 You can select the pages you wish to move to your new Menu or click on Select All if you wish to move everything into the new Menu. Next, press the Add to Menu button. 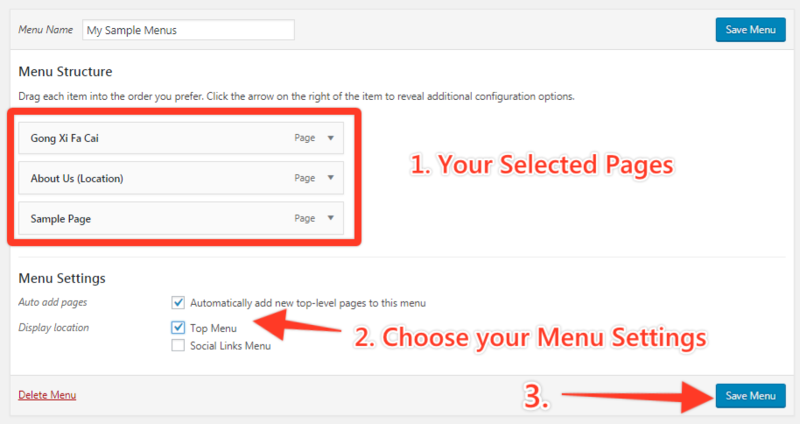 Choose your selected pages, choose your desired menu settings and press on Save Menu button. Click on the Custom Links drop down box and enter your Social Media profile website URL e.g. Facebook, Instagram, Youtube etc. Click Add to Menu button to finalize changes. 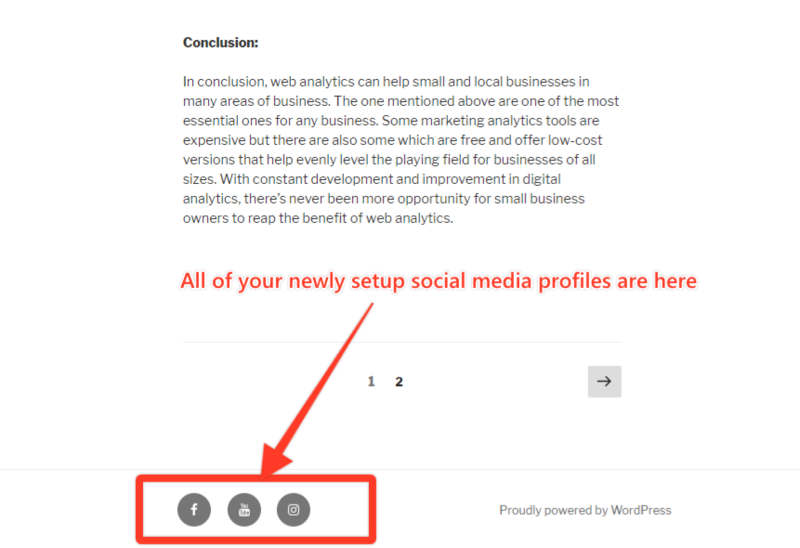 Repeat the same step in (1) for the rest of your Social Media profiles. 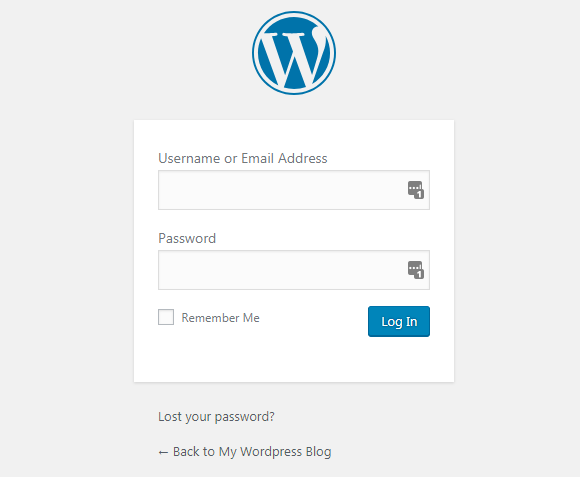 Here&apos;s how your blog looks like together with the Social Media profiles at the footer.